The latest installment of Spook is the first of its kind—THE FICTION ISSUE. What is the power of narrative? In what ways can a story shape how we greet the world, how we relate to the people around us? The “awesome vexing power” of fiction, Junot Diaz writes in this issue, is infinite. 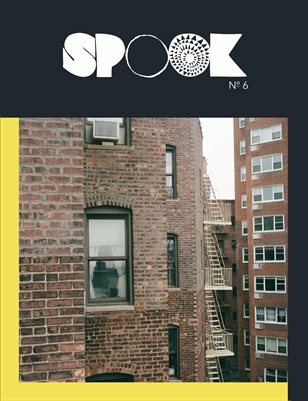 Spook 6 features work by Alex Richards, Angela Flournoy, Bryan Washington, Clint Smith, Hua Hsu and Justin Torres, with debut fiction from Vinson Cunningham and Hannah Giorgis. Visuals tracked by Kenyatta A.C. Hinkle, Shikeith, Alexandra Bell, Dani Dabney, Charisse Pearlina Weston, and Naima Green. Your story is worthy of its voice—it's time you shared it with the world.